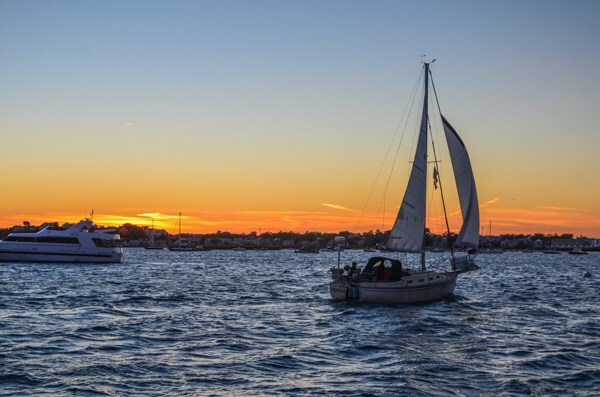 Sea, sand, charming woods, and ferry rides fill our days on the Cape and its nearby islands. 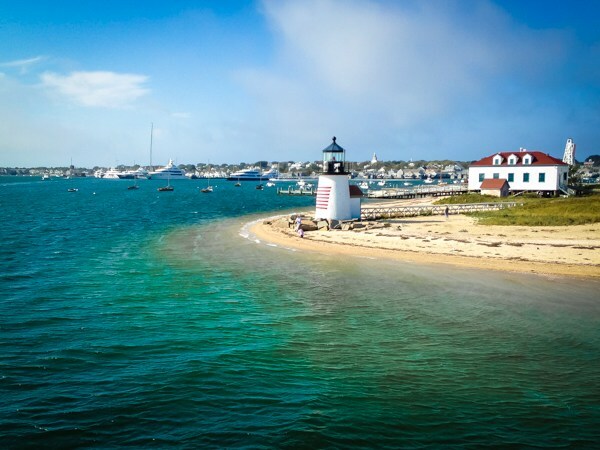 We visit the ports in Hyannis and Falmouth and ferry to Martha’s Vineyard. 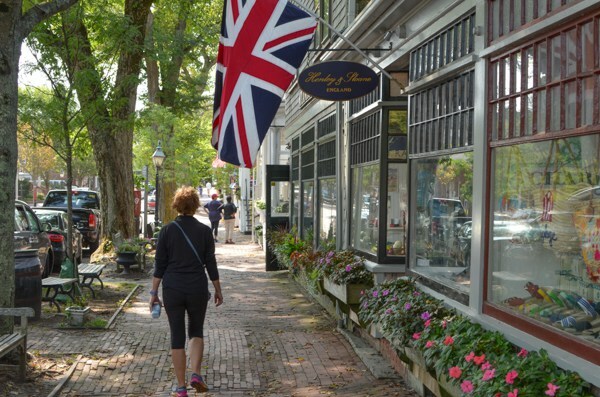 Our trip to Martha’s Vineyard includes time to bike some of the island’s trails, visit the Gingerbread Houses in Oak Bluffs, and that night maybe even stand in line to share the experience of buying from Back Door Donuts. On the Cape we bike the Cape Cod trail between South Dennis and Southfleet and do some optional road riding to reach the tip of the cape at Provincetown. While in P’town some riders elect an optional dunes ride to discover the wonders of the extensive dunes on the ocean side of the area. A climb to the top of the Pilgrim Monument puts all of P’town and the bay and ocean at your feet. At the northwestern end of the Cape we ride the Cape Cod Canal bikeway along the Cape Cod Canal. The canal connects Cape Cod Bay on the east with Buzzards Bay on the west. 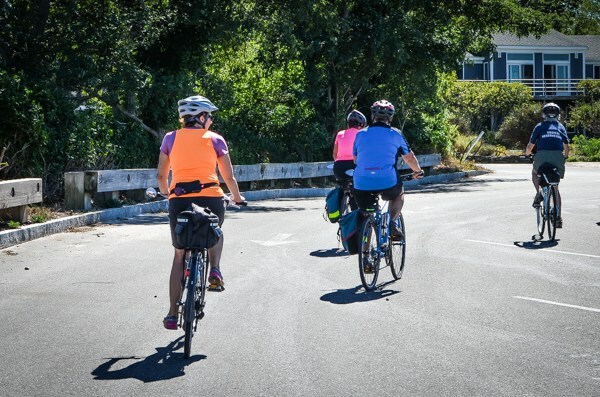 We combine the canal trail with a ride on the Shining Sea Bikeway that runs between North Falmouth at its northern end and the Atlantic and Falmouth at its southern end. Our lodging on this trip includes a variety of inns and motels. 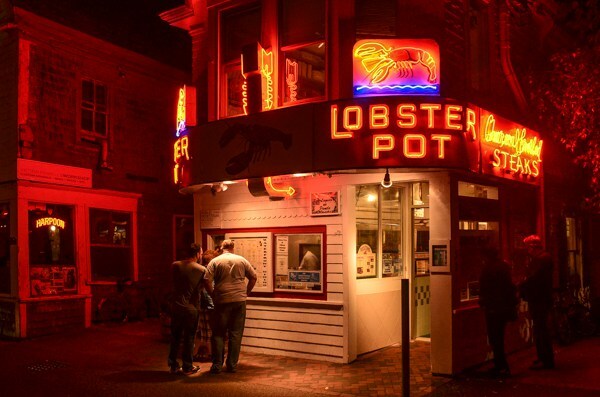 Our locations in Provincetown and Hyannis put us right in the heart of the action. We picnic on the days we ride the bike trails on the cape. There are diners and pubs and fine dining restaurants sprinkled throughout our travels. There is something special about this seaside New England landscape with its harbors and windswept woods. The gray shingled houses and the bright white clapboard ones are complimented by the intense colored flowers that only happen in these northern climes. It’s the perfect place to be when time is on the outside edges of the summer months. We meet to share information, drinks and appetizers and walk to a local restaurant for dinner. 30 miles – A short van ride to bike the Cape Cod trail with a picnic lunch beside the trail. 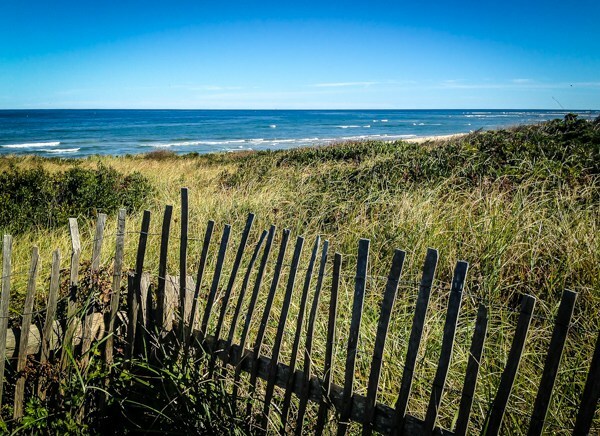 Visit Cape Cod National Seashore. Hotel in South Wellfleet. 12/23 miles – Optional Mileage ending in Provincetown. Afternoon and evening in Provincetown. Optional afternoon dunes tour. 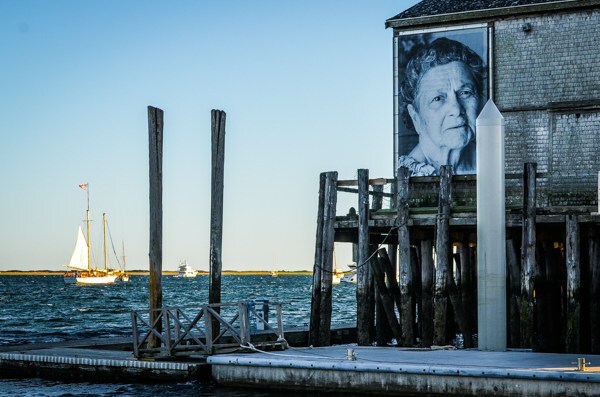 We spend the day in Provincetown. 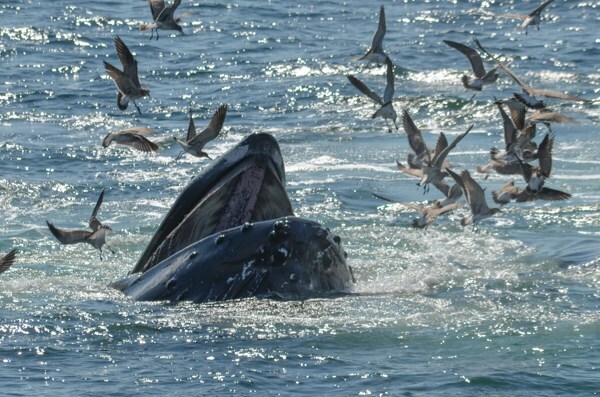 A whale watching tour to Stellwagen Bank National Marine Sanctuary is an option; a sunset sail on the bay is another. 19/27/31 miles – We van from Provincetown to Sandwich to bike the Bourne Canal Bike Path. After a picnic lunch beside the canal, there is a bit of optional road riding and then we finish the day on the Shining Sea Bikeway and on to our night’s lodging in Falmouth. 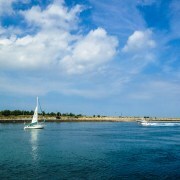 Optional Miles – We ferry to Martha’s Vineyard to bike. You will have time that day to explore on your own, then we ferry back to overnight again at Falmouth, with a farewell dinner at a local restaurant. 10 miles – We bike the Shining Sea Bikeway to Woods Hole (out and back). 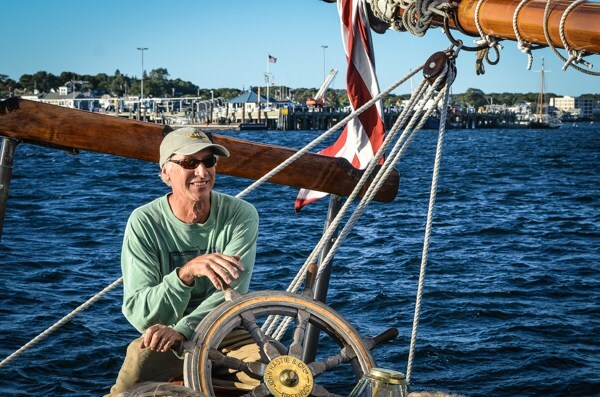 This ride offers stunning views of the bay, plus time to explore the charming village of Woods Hole. We return to Hyannis mid-afternoon by van to complete our trip. This tour’s trails are all paved, and are suitable for all bicycles. For this tour we meet riders at 5:00 pm on Saturday, September 14 at our opening hotel in Hyannis, location to be announced after registration. The trip ends on Friday, September 20. We plan to be back at the hotel by 6:00 PM. If you are traveling by air you fly into and out of Boston’s Logan Airport and take the bus to Hyannis. They have a regular schedule between the airport and Hyannis for the two hour ride. (http://www.p-b.com/week-fromBos.html) The bus delivers you to the Transportation Center in Hyannis which is .6 mile from the hotel. There are taxis available. We return you to the hotel at the end of the trip. If you are driving, you drive to the hotel. We return you there at the close of the trip. You may leave your car there during the trip. Your lodging from Saturday, September 14 through Thursday, September 19 is included. Your night’s lodging on the day the trip ends (Friday, September 20) is not included. That night is at your expense. Single supplement fee is $550. The remainder is due 60 days prior to departure date. (Due date July 14) Cancellation details: If you cancel by 60 days prior to departure date, you will receive a 90% refund. Please purchase trip insurance. We trust Allianz Travel Insurance. CLICK HERE to visit their website.